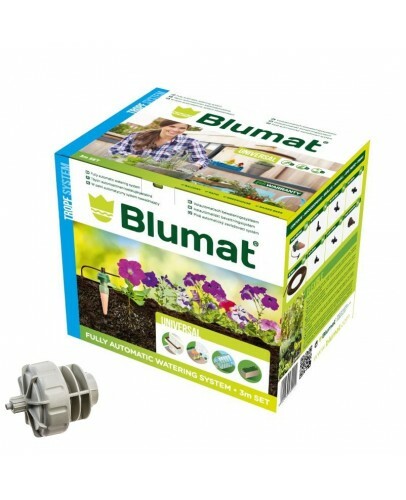 This set is designed for use on balconies with 3 boxes of 1 m apiece, but is also suitable for any other purpose, such as watering larger collections of planting tubs or for outfitting a winter garden or small greenhouse. 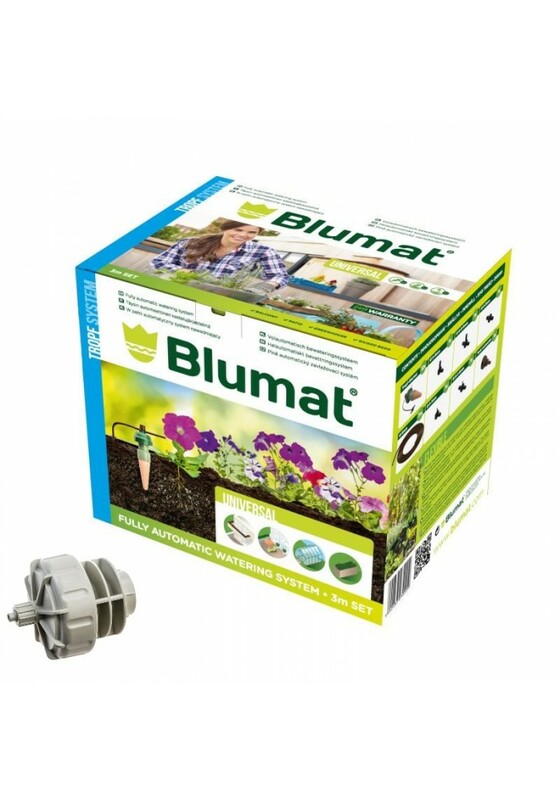 As a general rule of thumb: 4 Tropf-Blumat (4 drip locations) are required per 1 m box, 3 Tropf-Blumat per 0.8 m box or 1 Tropf-Blumat in planters up to 25 cm diameter. 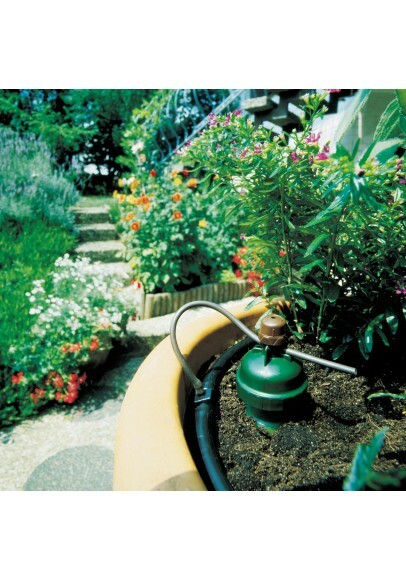 Water can be supplied by connection to a water faucet. 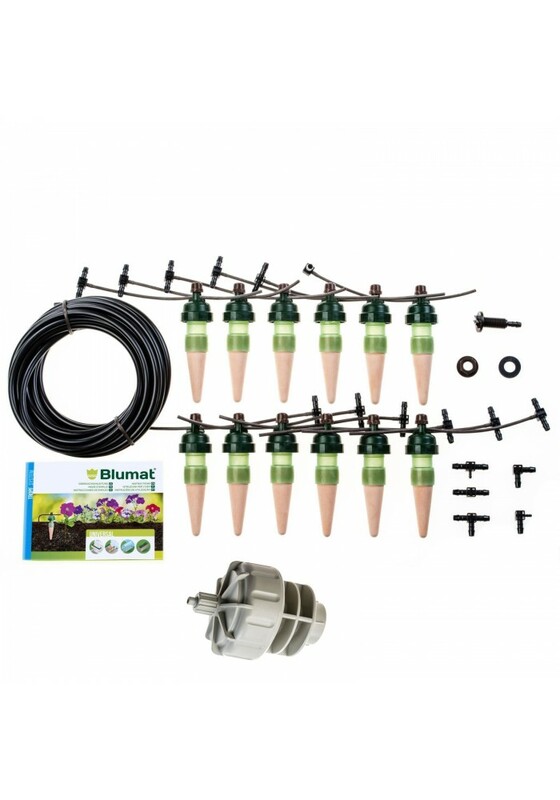 This Kit is a great way to start your customized irrigation system. The flexible system can be expanded to include up to 500 drippers. 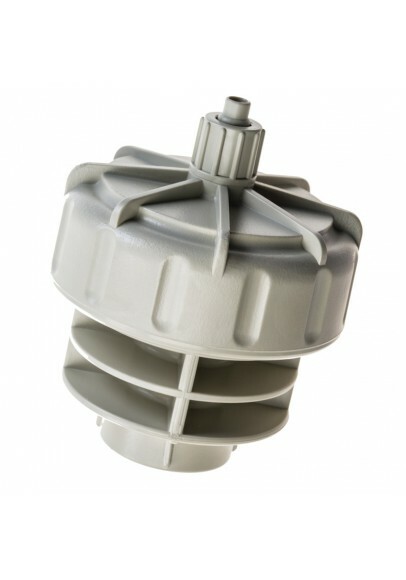 See the Category Accessories on our site for all the accessories.